Those who register on or before February 2nd 2017 will receive a $10 discount. We’ll begin with a short presentation on the global history of acorns as food. 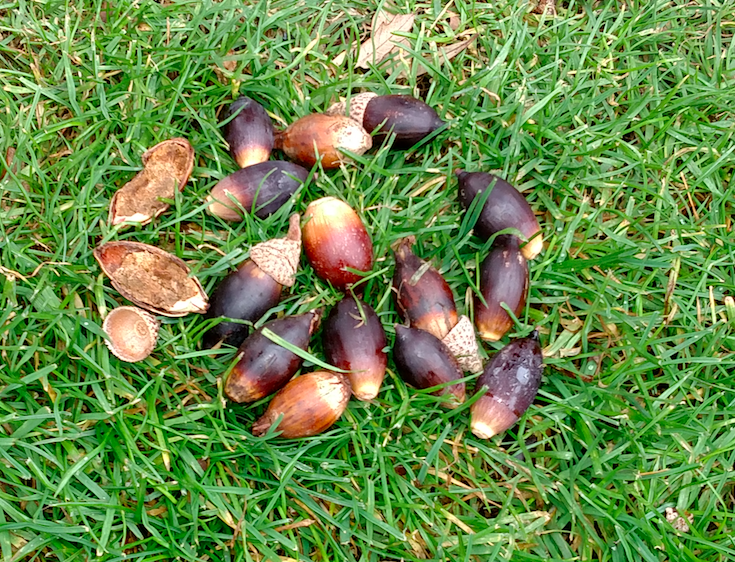 Then the magic begins as we take unshelled acorns and turn them into a ready to use flour. All participants will have an opportunity to join in the process helping to make this skill stick. To wrap up the event, we’ll enjoy a special acorn treat prepared by the instructor himself. John Slattery is a bioregional herbalist and forager helping people develop relationship with wild plants. Seeking out local traditional knowledge and fostering relationships with traditional healers John works towards keeping traditional knowledge alive while embuing it with new perspective gleaned through deep relationship with plants. He maintains his Vitalist clinical practice in Tucson, AZ and offers plant walks, foraging expeditions, field trips into Sonora, Mexico. John has taught multiple classes on about acorn harvesting and processing. You can watch a video with John discussing acorns here. The class will be conducted at The McKinley Club in downtown Phoenix. Click here for a Google map to access an address and driving directions.